Whether you are a BBQ enthusiast or home cook. There is nothing better than a smoking juicy piece of meat that set in the smoker for 10 hours, or a charcoal grilled ribeye. At Epic Spice you will find what it takes to bring your BBQ and grilling to the next level. 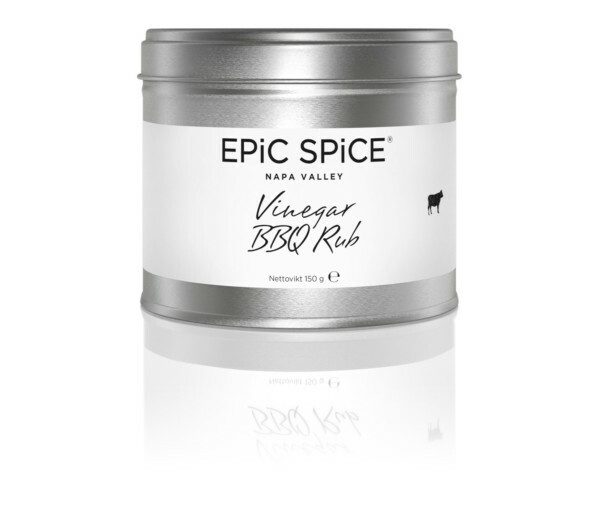 It's not just for the good taste, but the actual composition of our BBQ rubs that make the big difference! Our rubs also tender your meat and make it juicier with its unique ingredients. The Rubs take you on a journey around the different BBQ states with their diversified flavor profiles. There are many ways to enhance the flavor of grilled meat, chicken and fish, including marinades and glaze. But probably the easiest way to boost the flavor of a piece of steak is by applying a dry rub, which is a blend of a variety of herbs and spices. Rub Apply the rub to steak, chicken or fish. Sprinkle the rub over one side of the meat and, with your fingers, massage the rub into the entire surface of the meat. Repeat this process on all sides. Let rest for at least 1 hour, if you want a deeper taste let rest in the cooling up to 12 h. Grill or fry your meat. Create a glaze from the rub A rub can also be made into a glaze. A glaze is a version of basting used specifically toward the end of the cooking process. Try mixing your favorite rub with apple juice and syrup/honey then brush your meat during the end of the cooking to create a crispy, sticky, surface. Create a barbecue oil from the rub A rub can also be stirred with oil and you create your own BBQ oil. Brush the meat with the oil before and during grilling instead of using the dry rub technique. Find your own favorite among our BBQ Rubs! Make your Brisket to perfection. Rub in the Brisket rub, let rest over night and smoke for 12-16h. This well-balanced meat rub offers subtle sweetness with rich earthy tones to complement a wide variety of meat dishes. 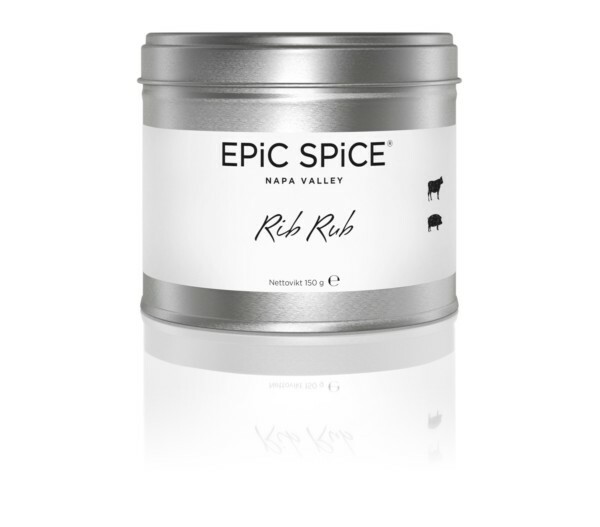 This well-balanced meat rub offers subtle sweetness with rich earthy tones to complement a wide variety of meat dishes. You can also sprinkle it on egg dishes or in vegetable soups to add a meaty flavor. This flavorful rub can be sprinkled on the next time you grill steaks, pork chops spareribs, or other meats of choice. Let the meat marinate beforehand and you’ll be amazed at how delicious your meal will be! The BBQ spice rub is the perfect combination of spices, seasonings and herbs that can be spread over food, especially meat and poultry, before grilling, roasting or slow-cooking. No one can resist a rack of freshly smoked or barbecued ribs. This rub brings out an unbelievable barbecue flavor to ribs. Great for grilling, marinating, and barbeque. Sriracha, a well-known chili sauce, is named after the coastal city of Si Racha, Thailand. This tangy seasoning is great to spice up any dish from chicken wings to noodle bowls. Rub over meat or poultry prior to roasting or grilling. One of the best-known asado dishes is pollo asado, which means "roasted chicken." Kosher salt has traditionally been preferred by kosher butchers as it absorbs moisture. 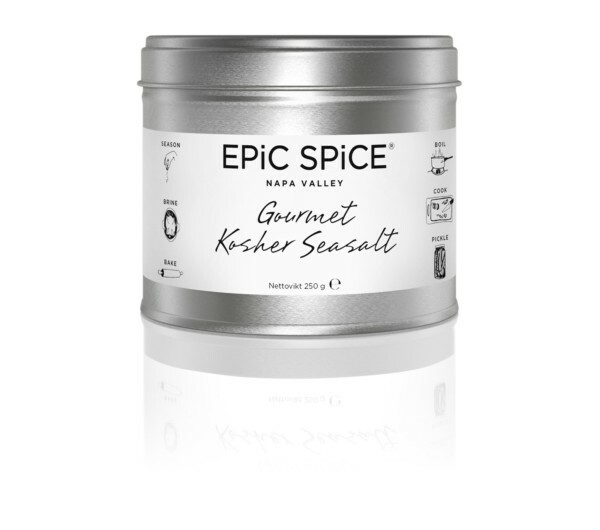 Kosher salt flakes have a pure, crisp flavor that makes them a favorite for salads, vegetables, and marinades.